This is a pair of pretty star earrings! 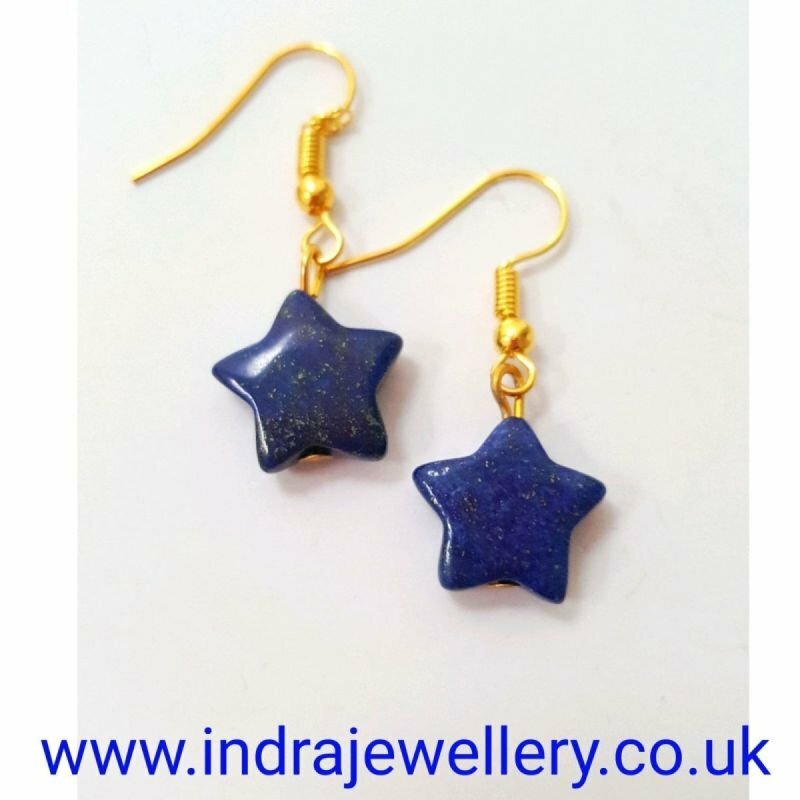 The stars are carved lapis lazuli gemstones which are a lovely deep blue with the trademark gold fleck that makes lapis lazuli so attractive. I have attached them to hypoallergenic, nickel free gold plated hooks.